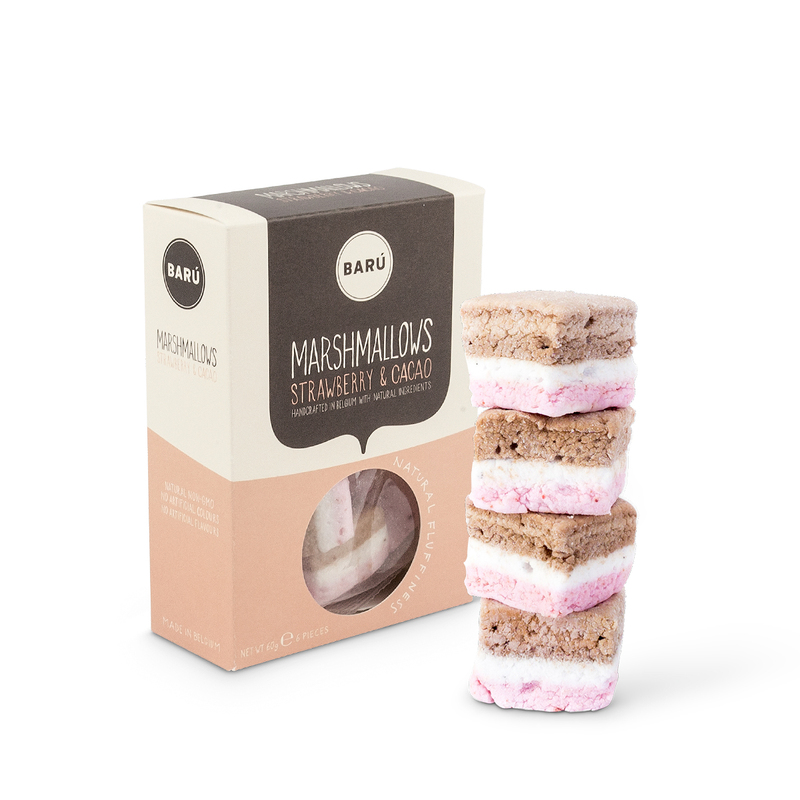 Discover the pure joy of Barú gourmet marshmallows. 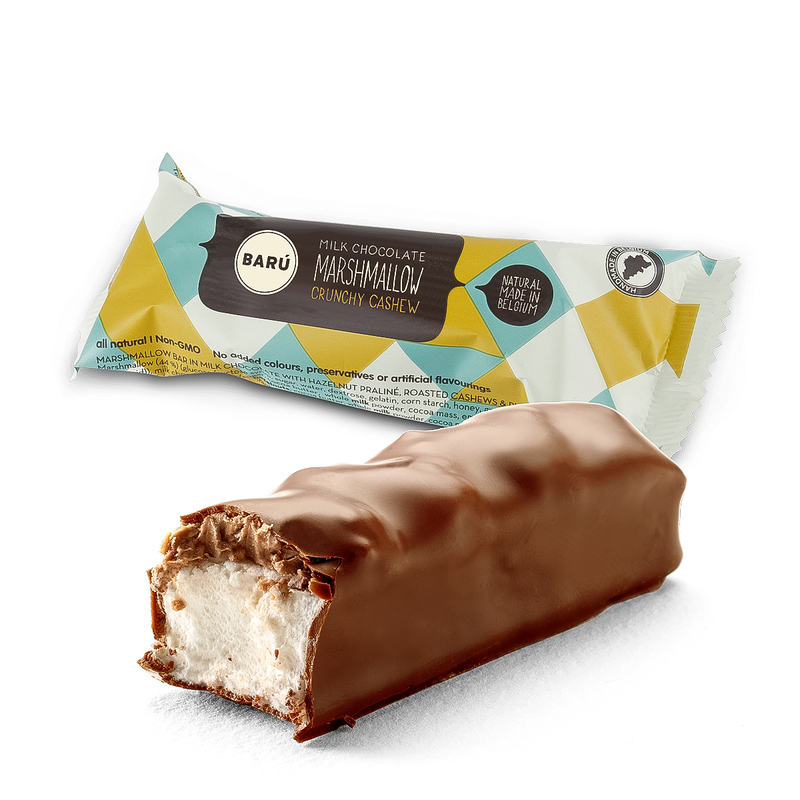 Hand created with premium Belgian chocolate and natural ingredients, each Barú creation is designed to offer feel good indulgence. 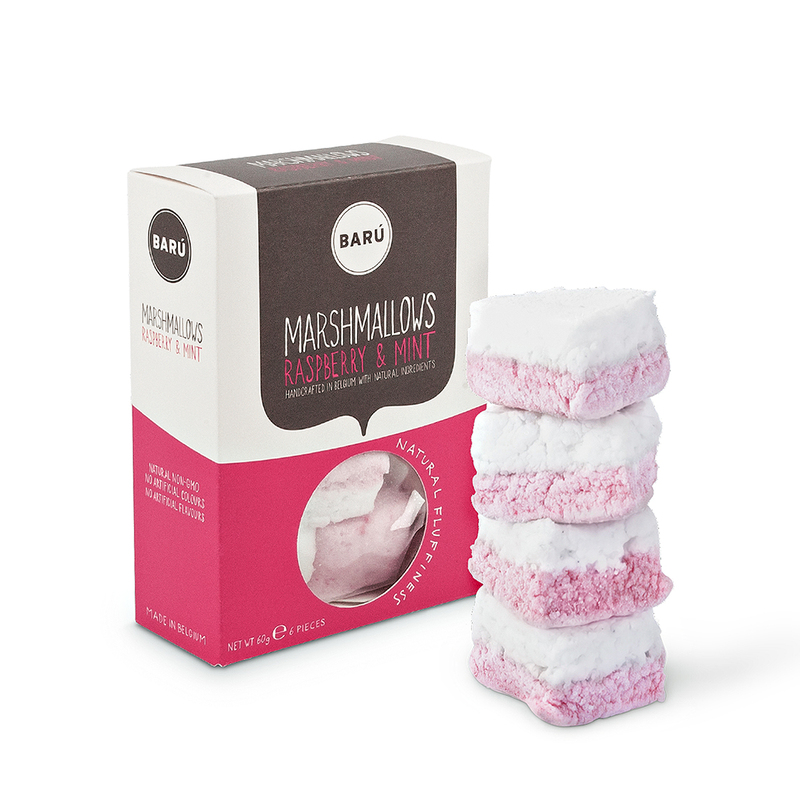 A chic white tray is filled with a scrumptious collection of assorted marshmallow confections in this charming new gift. 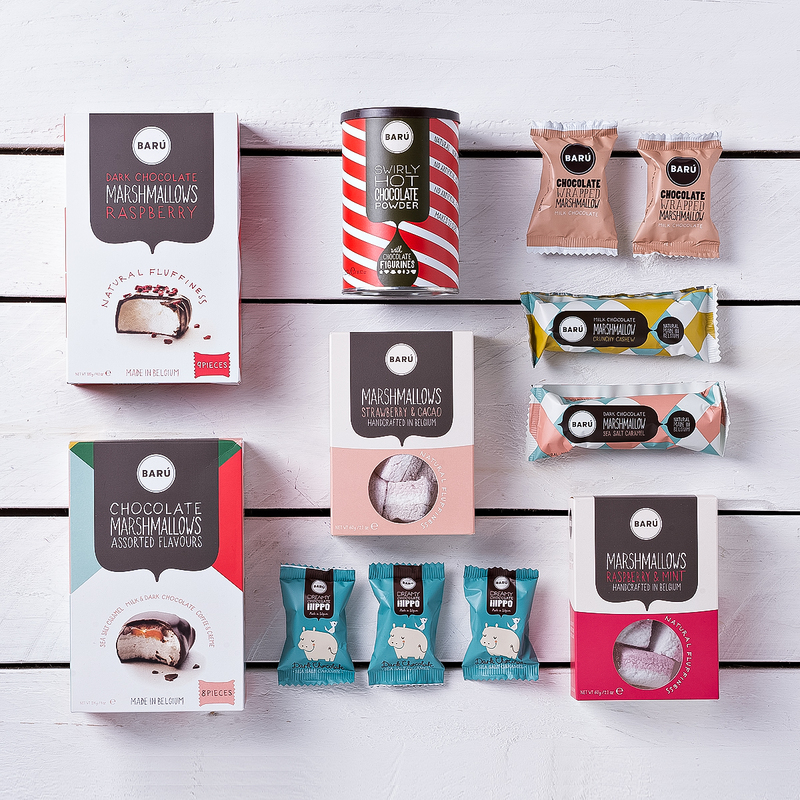 The pleasures include fluffy marshmallows dipped in rich dark or creamy milk Belgian chocolate with a variety of flavors such as raspberry, sea salt caramel, and crunchy cashew. 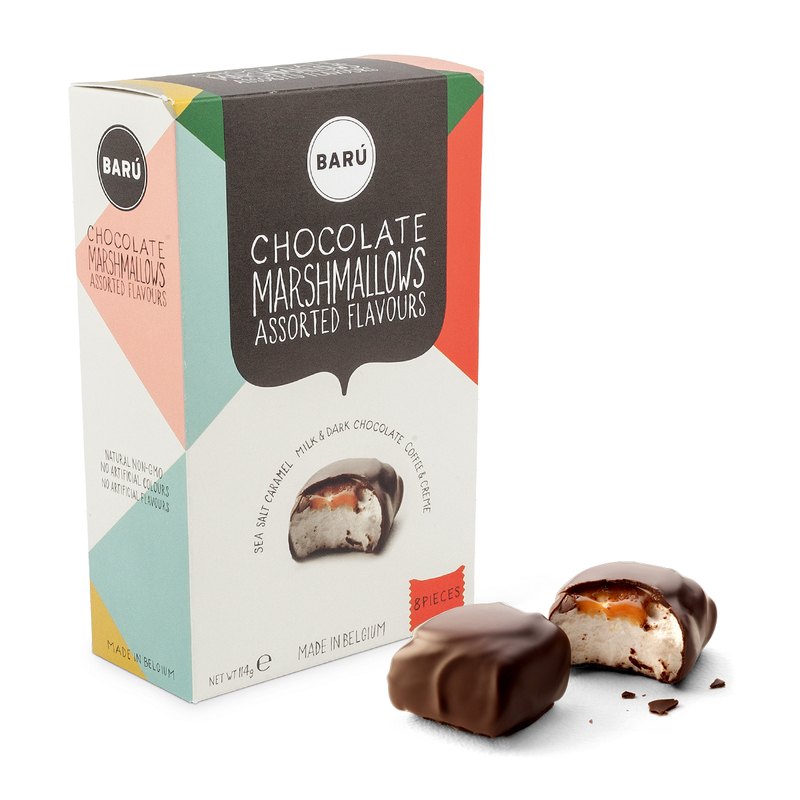 Colorful craft marshmallows in Coffee & Cream and Dark Chocolate Sea Salt Caramel will brighten any day. 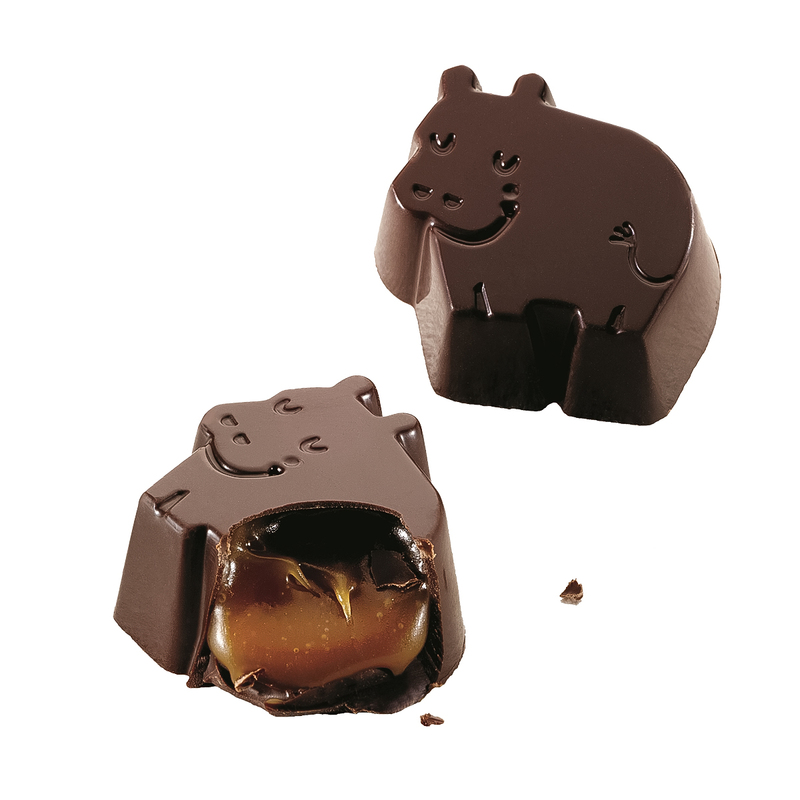 Delight in Barú's whimsical Chocolate Hippos, bite sized marshmallows, and bars. 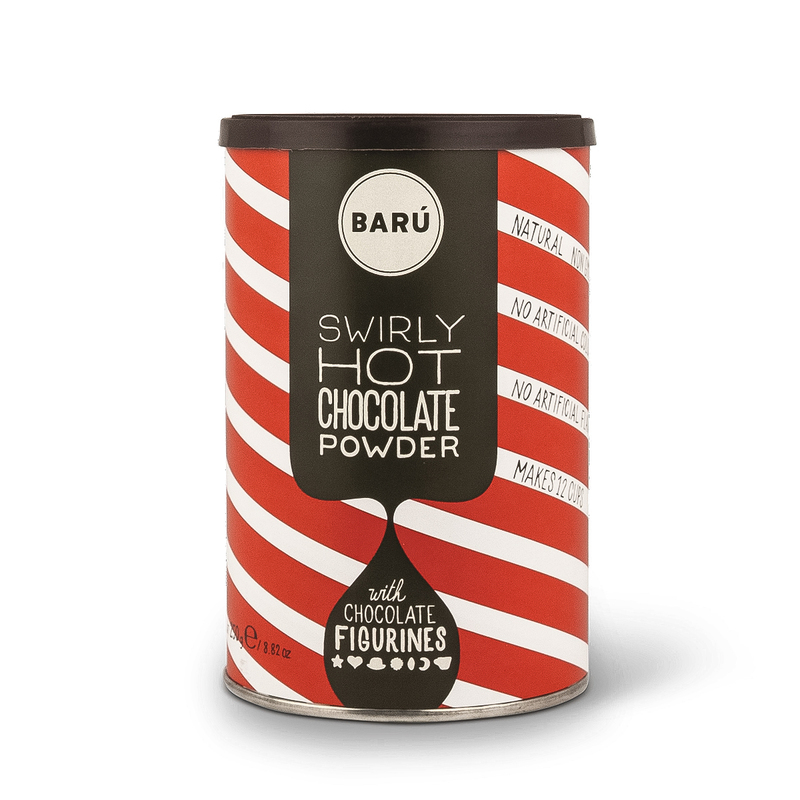 Barú's ever-popular Swirly Chocolate Powder is included to make the best hot chocolate. 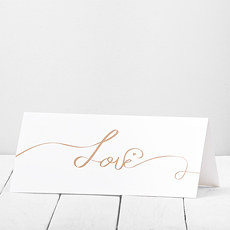 A welcome gift for any occasion! 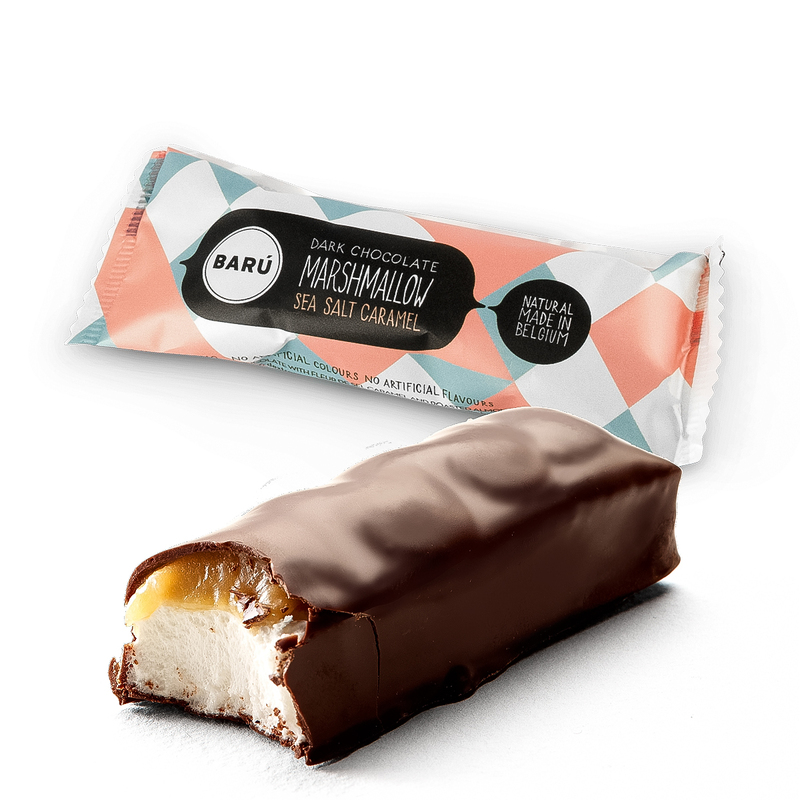 Ingredients: Sugar, cocoa powder, dark chocolate (10 %) (cocoa mass, sugar, cocoa butter, emulsifier (soya lecithin), natural flavour (vanilla)). 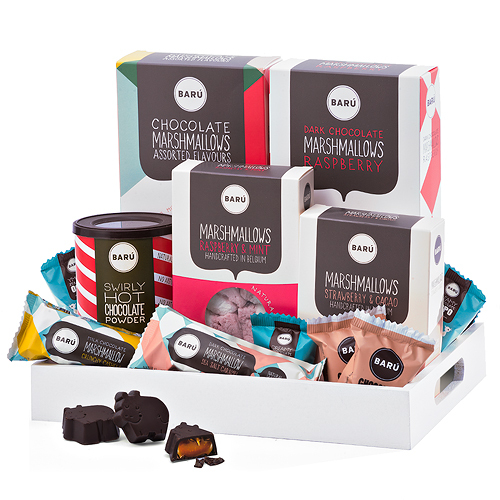 Dark chocolate contains cocoa solids 54 % minimum. Allergy Advice: Contains soya, milk and may contain traces of nuts and peanuts.